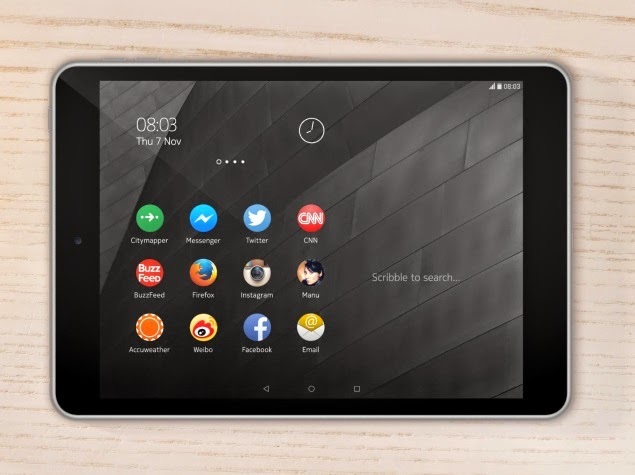 Nokia company on Tuesday announced new Nokia N1 tablet. The very “first Nokia-Android tablet”. 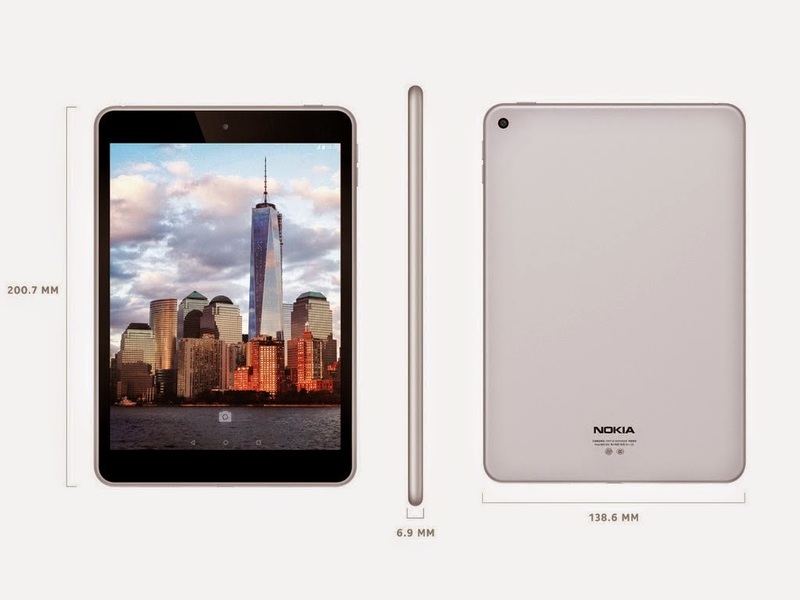 The Nokia tablet will be launched in China in Q1 2015 with a brand-licensing agreement extending to an OEM partner (Foxconn) that will manufacture, distribute, and sell it. The Nokia N1 will cost $249 (roughly Rs. 15,400) before taxes, and will be made available in other markets globally. The Finnish company says that Nokia N1 tablet will have predictive features like a "unique one-piece aluminium design with a soft finish", and will be available in Lava Grey and Natural Aluminium colours. The main thing is Android 5.0 Lollipop. Other features are 7.9-inch (2048x1536 pixel) IPS LED-backlit display protected by Gorilla Glass 3, and is powered by a 64-bit 2.3GHz Intel Atom Z3580 processor (4 cores, 4 threads) coupled with a PowerVR G6430 GPU and 2GB of LPDDR3 (800MHz) RAM. It sports 32GB of inbuilt storage (non-expandable). Camera is 8-megapixel rear autofocus camera with 1080p video recording, and a 5-megapixel fixed focus camera. Connectivity options include Wi-Fi 802.11 a/b/n/ac with MIMO, Bluetooth 4.0, Micro-USB with reversible Type-C connector, and a 3.5mm audio jack. The Nokia N1 tablet weighs in at 318 grams, and measures 200.7x138.6x6.9mm. Also onboard are 0.5W stereo speakers, and a 5300mAh battery. For sensors, it sports a 6-axis gyroscope and an accelerometer.